Five students exemplify a commitment to public service and innovative thinking, finding solutions for the challenges in our community. They join more than 850 students graduating from the College of Public Service and Community Solutions this spring. Outstanding graduate Courtney Carter made the transition from military to civilian life after eight years of service in the U.S. Navy. He soon discovered his passion for learning how cities grow and function. “I’m a creature of the city. I grew up in a very cosmopolitan and walkable city. Living in Phoenix and other cities, that interest only got deeper,” Carter said. With a double major in urban planning and urban and metropolitan studies, Carter is delving into the problems facing his community. Through the undergraduate research program, Carter is working on a project that looks at low-income housing in central Phoenix. “We’ve surveyed and investigated some of the tools those families in those neighborhoods are using to overcome some of the nutritional challenges that they have,” Carter said. Carter also interned with the University of Arizona’s cooperative with Maricopa County at PHX Renews, an initiative of Mayor Greg Stanton to transform vacant lots throughout Phoenix into community spaces. Carter is a Spirit of Service Scholar, was involved in meetings leading up to the creation of the Public Service Academy, and is a veteran peer adviser for the College of Public Service and Community Solutions. “It’s important that folks with military backgrounds have the opportunity to interact with and shadow and learn from citizens, because the needs and the expectations can be quite different,” Carter said. Carter is also a council aide for Councilwoman Kate Gallego, where he’s working with the City of Phoenix to improve and expand Valley landscaping and community gardens. Stephanie Morse is a double major studying psychology and criminology and is a student in Barrett, The Honors College. Morse is an intern with the Arizona Department of Corrections in Florence within the mental-health program. She assists staff members in their treatment of severely mentally ill inmates through psycho-education, group therapy and treatment planning. “It’s definitely one of the most meaningful things I’ve ever done. I really value that experience,” Morse said. She was given the task of coordinating a mentor program for mentally ill inmates in which higher-functioning inmates assist lower-functioning ones. “While this program is relatively new, we are beginning to see positive changes in the inmates who are being mentored as well as the inmates who are mentoring,” Morse said. She looks forward to continuing her research in a master’s and doctoral program in criminology. Milo Neild never served in the military, but one of his main interests is helping those who did. Neild works with his brother’s non-profit, Wounded Wodders, to aid the recovery of combat-wounded veterans. He also served in AmeriCorps and Public Allies, as well as taught transgender education for eight years before starting his degree in parks and recreation management at ASU. Neild initially pursued a degree in computer programming but later switched to his major. “Just wanting to be outside all the time really made me look for another major that better fit the things that I liked to do, the activities that I spent most of my time outside school doing,” Neild said. Through his participation in the undergraduate research program with professor Megha Budruk, Neild earned a grant from the Central Arizona Conservation Alliance to conduct research on park-entry fees. The research will provide insight into park visitors’ level of acceptance of fees at three Maricopa County regional parks. “It was never something that I would have considered doing. But starting to be able to do it was something I really enjoyed,” Neild said. The research will explore the relationships between visitors’ willingness to pay, perceptions of fairness concerning fees, place attachment to the parks and attitudes toward fees. “[Milo’s project] speaks very much to our college’s mission, our school’s mission, about doing research that is benefiting the community and that comes from the community,” Budruk said. One of Neild’s philosophies is remembering to look at his situations in innovative ways. Fatemah Bernard set out to defy the odds against her. Bernard said she overcame her biggest obstacle in college when she discovered her learning style. Bernard served in the U.S. Air Force as a military police officer for six years before pursuing a degree in public policy at ASU. Among her accomplishments, she takes great pride in her work co-creating the nutrition curriculum for Refugee Focus, a program that provides a foundation for refugee women to take control of their health and the health of their families; and mentoring for New Pathways for Youth, which focuses on children who have been homeless or lived in a shelter. Bernard has been accepted into the College of Public Service and Community Solutions graduate program for public policy, where she plans to pursue her interests of public education policy and municipal budgets. Molly Gebler is a graduate student in the School of Social Work on the Tucson campus. “I believe in the sense of community. That’s one of the reasons I love Tucson so much,” Gebler said. Among her activities, she has served as the School of Social Work student council president. “When I lead, I try to show my passion and enthusiasm because those are two things that people can feed off of and in turn get as equally excited,” Gebler said. Gebler said she’s lucky to have met and made so many connections with the people in her experience at ASU. Through the child-welfare stipend program, Gebler was able to spend hands-on time seeing what she would do as a child-welfare worker. Gebler has also served as a research assistant since 2012. 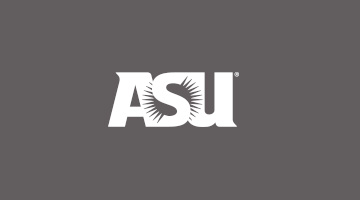 Most recently, she has worked with ASU professor Lela Williams studying mother-baby attachment and bonding. Gebler said every social worker has a grand idea to “save the world,” but that her idea of “macro-level change” must be worked through step-by-step.